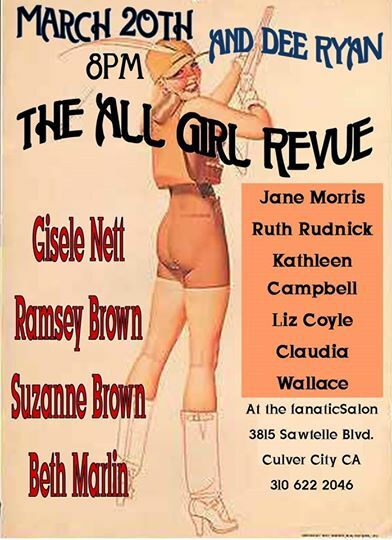 Gisele will be telling a NEW story at the All Girl Revue on March 20. Tix are $12 at the door. Storytelling, musical guest, and their great all-lady improv group.